A Barber Pole is instantly recognisable on the high street. 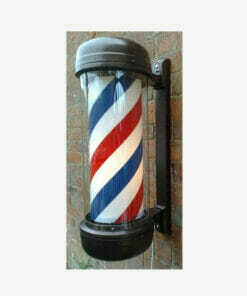 Traditional, eye catching Barbers Poles are a great way attract passing trade and advertise your barber shop above the crowds of potential customers in a busy street. 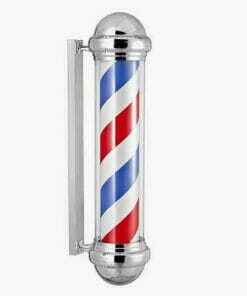 As an interesting bit of trivia, you may have wondered why barbers poles are red, white and blue? 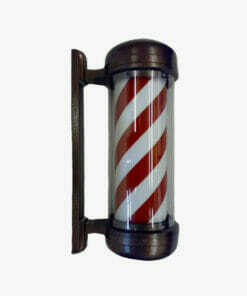 As you might imagine, these barbers products have a bloody history… The colors are actually a legacy of long-gone era when people went to barbers not just for a haircut or shave but also for bloodletting and other medical procedures! These distinctive items of salon furniture are available as revolving or static, illuminated or non-illuminated.range below or call the Direct Salon Furniture help team on 01270 630280 to discuss the available options. 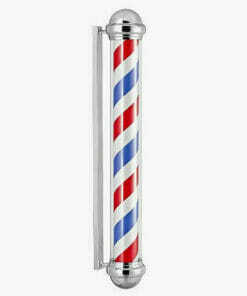 Chrome detailed barbers pole with red, white and blue detail and chrome finish top and bottom. 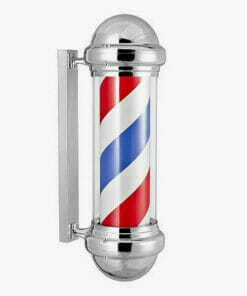 Traditional style barbers pole is a rotating barbers pole which is fully weatherproof. 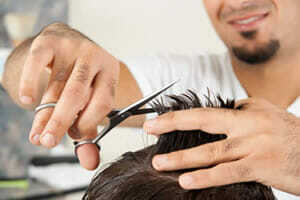 Highly visible static illuminated Barbers Pole which is easy to install and comes with 3 metres of cable. 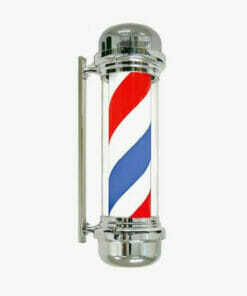 Stylish Static Non-Illuminated Barbers Pole which is easy to install and comes with 3 metres of cable. Traditionally finished in hammered Antique Copper, this highly visible barbers pole is easy to install. 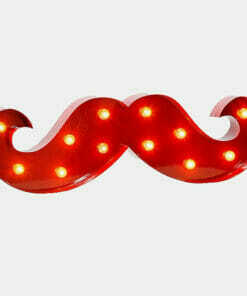 Great Moustache shaped LED light for use on wall, window display or shelf in 4 great colours. 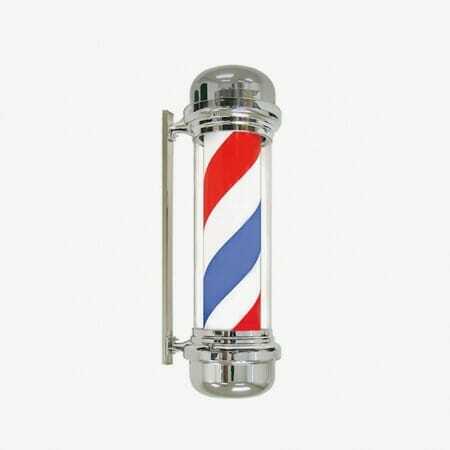 We have been supplying barbers poles as well as many other items of barbers furniture since 2005 to salon owners and barber shops. Browse our range!